How long is your shopping list this holiday season? Finding the perfect gift for friends and family can be a challenge. We wanted to understand who women were purchasing gifts for this season as well as who was the most difficult to shop for. 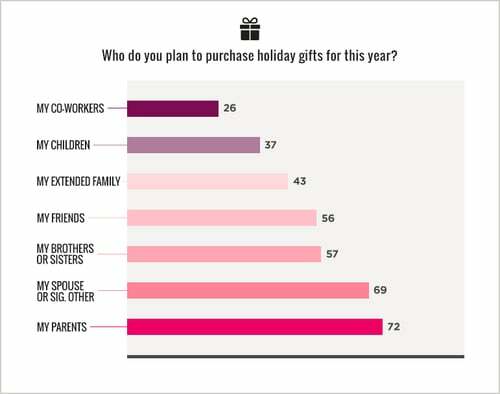 Results from our 2013 Holiday Shopping report show that women have a long list of people to shop for this year, and that some people on their list are harder to shop for than others. 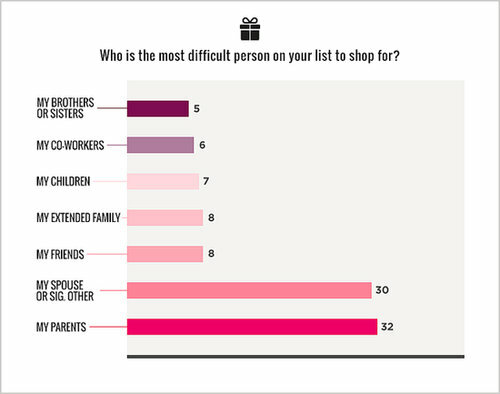 When asked to pick the most difficult person on their list to shop for, parents and significant others topped the list. The key takeaway here is that the people who are most important to women this holiday are also the people she finds most difficult to shop for. Women can struggle to find the perfect gift that expresses how much her loved ones in her life mean to her. They are seeking suggestions and help on what gifts to purchase.